TI and its questionable activities in Pakistan…. Transparency International Pakistan has been in national news for its bold projection of public perception of corruption in Pakistan. It has been accused by the democratic government of creating chaos and unrest in the country. The government had even ordered investigations into its in-country operations. 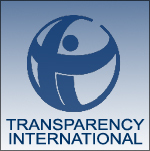 TI-Pakistan is a National Chapter of Transparency International, a civil society organization. According to its mission, it is dedicated to curbing both international and national corruption. Its primary objective is to counter corruption in business dealings and to curb corruption on a national level. It seems that taking advantage of the weak and corrupt government, the organization in Pakistan is in total blackmailing mould and has started encroaching upon the jurisdiction of executive agencies of the government and is prima facie involved in corrupt practices. This should not come as a surprise to anyone. It is Pakistan. If Hajj operations can be corrupted, as a rule there should not be any institution escaping corruption, not even TI. The Express Tribune has reported that the detained chairman of NICL has revealed that the top guns of Transparency International (TI), Pakistan, had offered to help him clear his name in corruption cases presently with the Supreme Court, if he signed a Memorandum of Understanding (MoU) to award all lucrative contracts on their recommendation in the future. An absconding NICL board member, Qasim Amin Dada, wanted by the FIA in this same Rs4 billion land scam, tried to convince his colleagues to strike a deal with TI representatives. TI volunteered to present a fact-finding report to the SC establishing the innocence of NICL officials. In return NICL would award contracts solely to private parties cleared by TI and advertise tenders in newspapers after referring to the agency for advice. The Tribune report does not contain TI-Pakistan version. NICL is also facing charges of misappropriating millions of rupees paid to a private party for office renovation. Payment to the contractor has been made in full but the job is still continuing. The allegation against TI is considered to be very serious, NICL detained chairman has given details of TI officials’ involvement in the alleged blackmail in his 30-page written statement to the FIA officials. He said he and his colleagues refused TI’s unconventional offer. Adjournment of NRO case, a rude shock to “political actors”? ….but PPP leader’s ex-husband faces the axe. Pakistan Government has won the first round of NRO case….Yes it wanted to delay implementation of NRO judgment and has won the first round. The case has been adjourned till November 1, 20210 giving a new lease of life to the government and dashing the hopes of “political actors”. On the other hand, the PM has started implementing NRO judgment of the Supreme Court, though selectively. The first one to face the axe is ex-husband of a PPP leader. The Express Tribune has reported from Islamabad that Prime minister Yousaf Raza Gilani has dismissed National Reconciliation Order (NRO) beneficiaries, convicted executive director of the Printing Corporation of Pakistan and managing director of the Federal Employees Benevolent Fund on Wednesday. A notification from the Prime Minister’s house has been issued to both NRO beneficiaries. Director of the PCP, Pir Mukarum-ul-Haq had previously been sentenced by a Rawalpindi accountability Court to seven years rigorous imprisonment and 10 million rupees fine for wasting the state’s resources. MD of the Federal Employees Benevolent and Group Insurance Funds – Sadiq Ali Khan has also been dismissed. He was sentenced on 14th August, 2009. The dismissals come at a time when the government is under considerable pressure as the Supreme Court is set to hear the NRO review case. It has also been reported in the Business Recorder that Supreme Court accepted Federation‘s plea seeking approval to substitute its counsel to plead its review case on National Reconciliation Ordinance (NRO) decision and fixed hearing of the case for Nov 1. 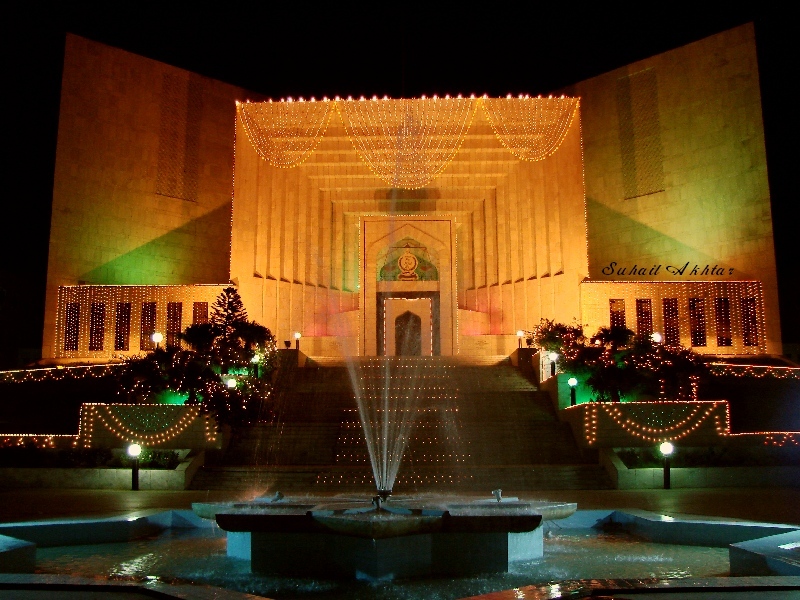 The 17-member larger bench headed by Chief Justice of Pakistan Iftikhar Muhammad Chaudhry in its order said that keeping in view of the importance of all the aspects and in the larger interest of dispensation of justice, the application moved by Sardar Latif Khan Khosa was accepted, enabling him to argue the review petition on behalf of the Federation. The bench also directed the counsel to submit with the Registrar office a certificate obtained from the Pakistan Bar Council about revival of his practice. The further hearing was adjourned to next date after making it a subject to availability of the bench. Sardar Latif Khan Khosa has resigned from the portfolio of Advisor to the Prime Minister and has been engaged by the Federation to represent its stance on pending NRO review petition. At the outset of proceedings, the bench asked Sardar Latif Khan Khosa to submit an application showing reasons for change of Barrister Kamal Azfar under Order 26 of the Rules 6 of the Supreme Court. The Chief Justice told him that previously the Advocate on Record was willing to withdraw the Federation’s plea and it was the bench that advised him to consider his client’s interests. Similarly, he pointed out to him certain implications in filing of amended review pleas. The Chief Justice said that a misunderstanding was created that the Court was not accommodating their pleas. Attorney General for Pakistan Molvi Anwarul Haq told the bench that Kamal Azfar was in fact made Advisor to the Prime Minster on Disaster Management. On October 11, a three-member bench headed by the Chief Justice had declined Federation’s plea seeking reasonable time to engage another counsel in its review appeal against the NRO verdict after its counsel Barrister Kamal Azfar was made Advisor to the Prime Minister. Raja Abdul Ghafoor, Advocate on Record (AOR) had filed a Civil Miscellaneous Application seeking time to engage another counsel on behalf of the Federation in C.R.P No. 129/2010 in Constitution Petition No. 76/2007. The Federation requested that Barrister Kamal Azfar, who was representing Federation in C.R.P 129/10, has now been appointed as advisor to the prime minister and prayed for appropriate time to engage another counsel. The review cases relating to the NRO have been fixed before a 17-member larger bench for Oct 13 as Barrister Kamal Azfar, in his earlier application had also asked for general adjournment for a period of 22-09-10 to 10-10-10 which was allowed by the Chief Justice. Money evaporates from the Swiss accounts, SC told in NRO case…. This is the news of the century. The Swiss accounts containing millions of dollars of hard-earned white money of the President of Pakistan, which were center of attention in the infamous NRO case, have been found empty and no one, not even the NAB, has any clue where the money has gone. The National Accountability Bureau (NAB) on Tuesday submitted a report on the Swiss cases to a 17-member larger bench of the Supreme Court (SC). 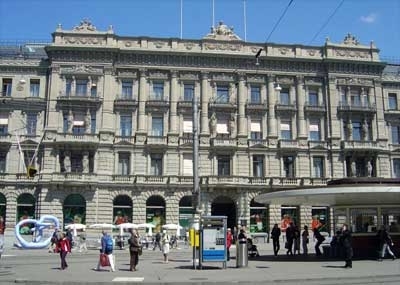 The report that was submitted by the newly appointed NAB Chairman Deedar Shah, claims that there is no trace of money in the Swiss accounts of the president. The Express Tribune has reported that the NAB report contains details about the controversial Swiss accounts, NAB cases and steps taken by acting NAB chairman Javed Zia on the directives of Supreme Court. Sources doubted the credibility of the new chairman, saying that he has no information about the money in the Swiss accounts. Chief Justice of Pakistan Iftikhar Muhammad Chaudhry had earlier directed NAB to submit a list of cases pending in foreign courts which had been withdrawn under the NRO. The chief justice had also directed NAB to trace over $60 million in the Swiss accounts case so that it could be brought back to the country. The report will made public on Wednesday. You can read a detailed description of Swiss cases in the Express Tribune by clicking here.